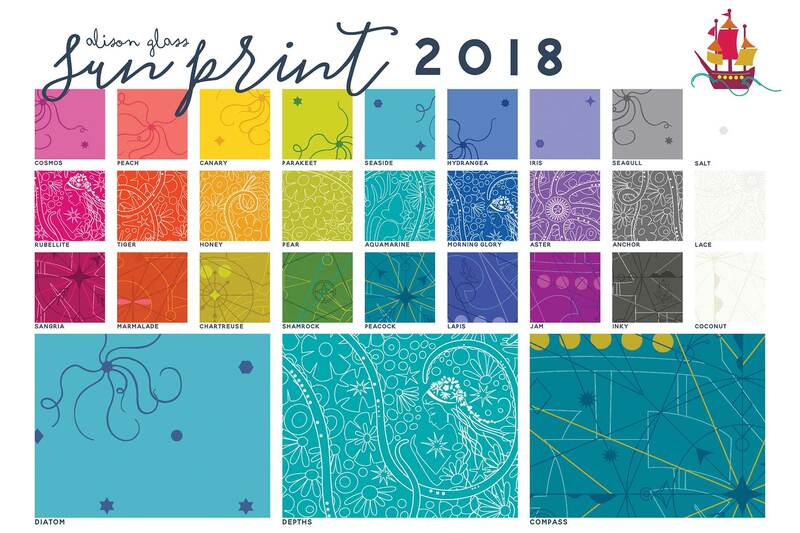 Sun Print 2018 brings twenty-seven new blender fabrics in a rainbow of colors. A good mix of values, from dark to light tones, join the Sun Print collection for the fifth year. 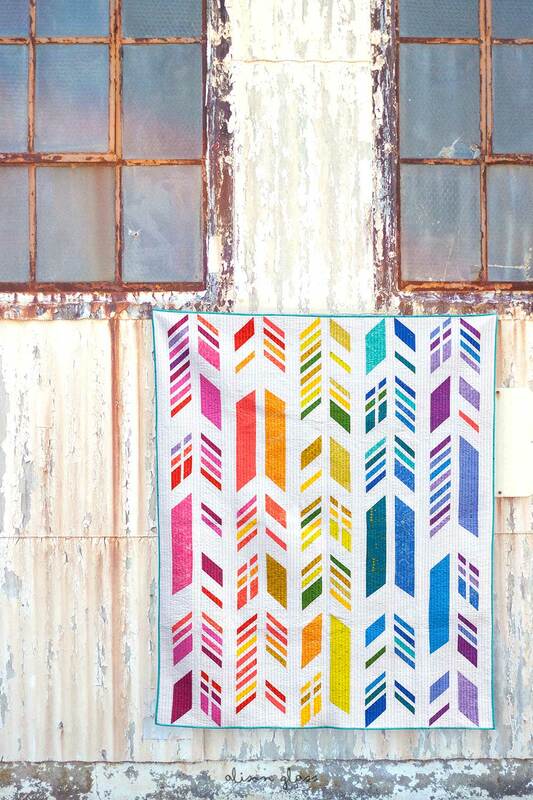 We love that there is a new batch of highly useful fabric each January and appreciate that the fabrics stick around for at least a couple of years, making them dependable choices for your projects. We think you’ll love the three new designs and the range of colors. Our 2018 selection has all of the saturation and variety that Sun Print is known for, but with an added element of an increase in value differences throughout the line. 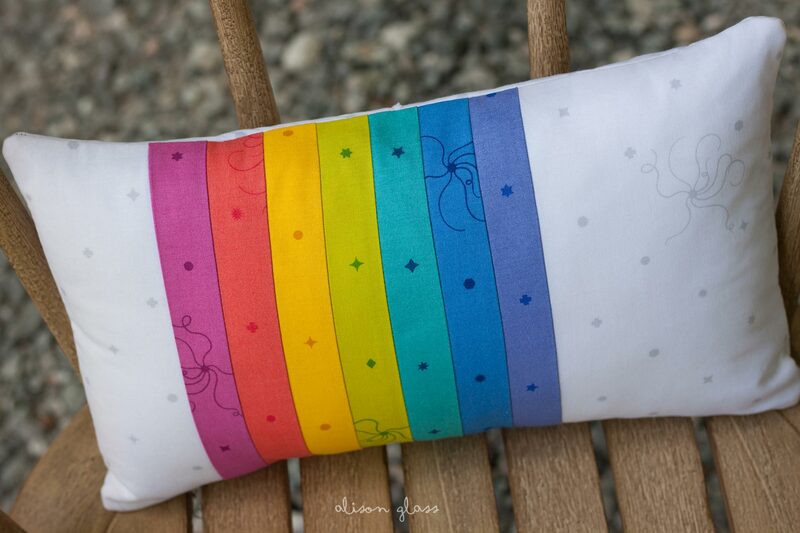 We think this will make it even more useful for adding to other fabrics or using as a stand alone collection. 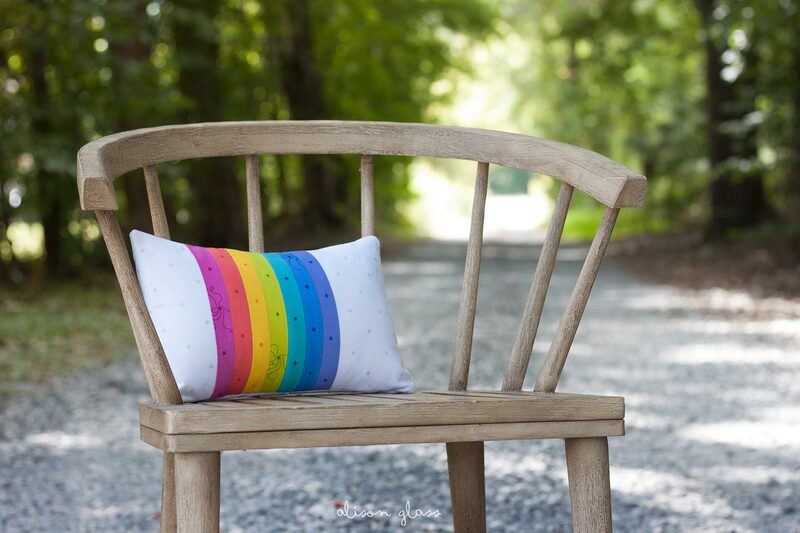 Diatom is a tiny dot print in a rainbow of sherbet colors with added surprise octopi dots scattered throughout the 24” repeat. 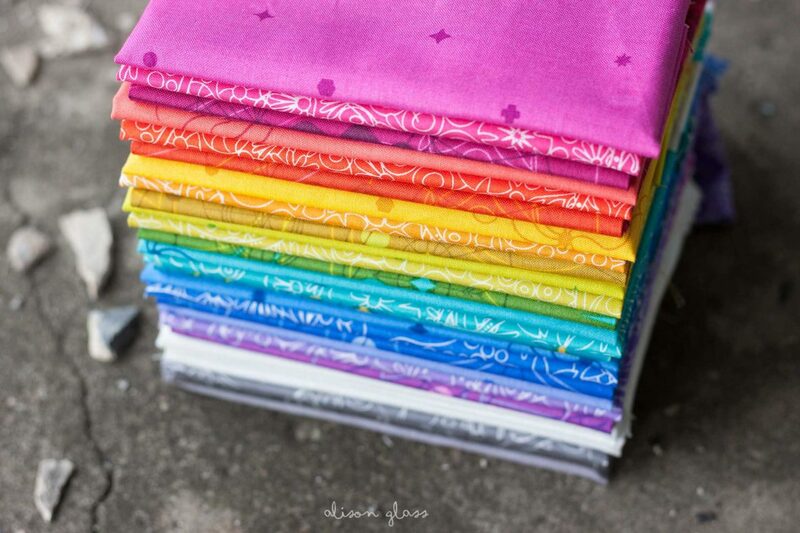 We are especially excited for some of the new colors in this group of nine fabrics. Depths is a smaller scale version of the main print Pearl from Diving Board. Our mermaid and octopi friends continue their adventures in nine saturated backgrounds with white line work. Compass is a complicated, darker print. The mysterious guide map may or may not lead to surprise elements of design. Far off islands, tiny ships and other creatures hide within it’s layers. 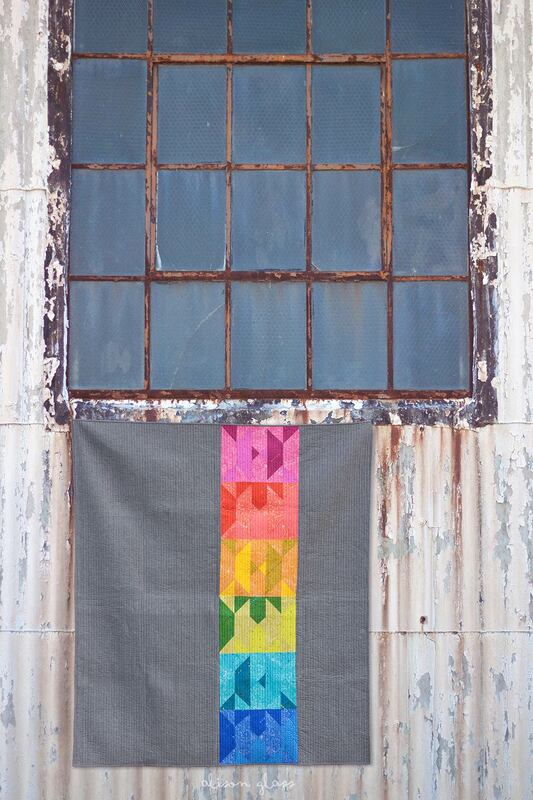 In big chunks or small pieces, these nine fabrics will add depth to your creations.